Building on the quotes from medical and biological texts posted below yesterday, there is a need to answer some common mischaracterizations of exactly what a human embryo and fetus is, and what it is not. Some fundamental biology will clear up the confusion. It’s an understandable position until one sees the developmental stages. The commenter mentions amniocentesis and the baby at that stage being mere tissue that has potential to become a baby in the future. 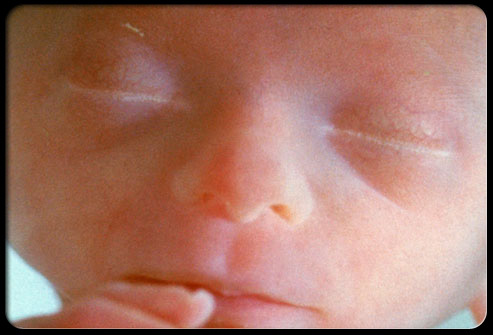 Typically, amniocentesis is performed between 16-20 weeks of development. 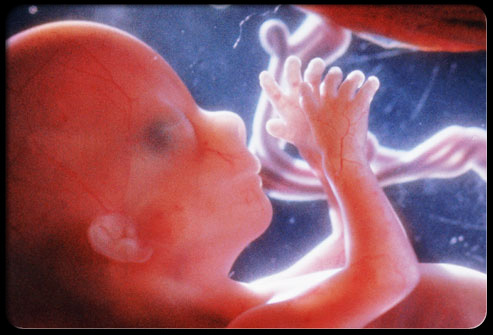 By then the baby has developed substantially with all of its organ systems in place. When the term ’tissue’ is tossed around, it is almost universally used incorrectly. Cells. There are approximately 200 distinctly different types of cells that comprise the human body. Tissues. Different types of cells aggregate to form specialized functions and are called tissues. The human body is comprised of four main tissue types: Epithelial, Connective, Muscle, Nerve. Organs. These are composed of two or more tissue types to perform special functions. Examples: Stomach, intestines, pancreas, liver, heart, etc. Organ Systems. These are two or more organs that act in a coordinated fashion to perform a common function. For example the digestive system is composed of several organs, including the stomach, pancreas, sall and large intestines, etc., whose coordinate function is the digestion and absorption of nutrients. Organism. This is the whole and complete animal, made up of all the organ systems functioning as a coordinated whole. See these video and 4-D ultrasounds of developing embryos and fetuses at The Endowment for Human Development. It must be stressed, however, that even in the single-celled stage of development, the zygotic stage, there exists a brand new human organism, whole and complete in form and function for that developmental stage. The same holds true for every stage thereafter. That’s because even at the single-celled stage, the zygote is intrinsically ordered toward mature organismal development and is proceeding along that trajectory. At birth, the baby lacks full maturational development, and will not attain such until adulthood. This developmental reality renders all argument to the contrary an expression of whim, of personal desire, with no bearing on the biological reality of organismal development. 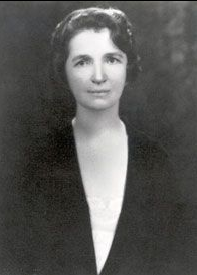 A commenter in the comboxes believes Margaret Sanger to be misunderstood, and that we would all do well to follow the lead of her disciples at New York University. Mike Wallace interviewed Margaret Sanger 9/21/57. Watch the video here. Sanger really starts fidgeting, ducking and weaving, telling lies and conveniently forgetting in the second half of the interview. She outright lies in the first half, when speaking of the opposition of the Christian Churches to Birth Control in the beginning of her movement. In reality, all mainline churches opposed contraception until the Anglicans broke with tradition at the Lambeth Conference of 1930. Only then did others follow suit. Surely Sanger must have remembered how Pope Pius XI wrote the famous Encyclical Castii Connubii (On Christian Marriage) four months after the Lambeth Conference of 1930, wherein he states that the teaching against contraception was “uninterrupted Christian tradition” (see paragraph 56 in the document). Birth Control Review , October 1921, page 5.
religious scruples prevent their exercising control over their numbers. Racist?” Family Planning Perspectives , January-February 1985, page 44. In fairness to Sanger, Idiot, Imbicile, and Moron were medical diagnostic categories in their day. Also to be fair to Sanger, she dripped with contempt for these people. She had no appreciation for their humanity, and in her hardened heart, could not imagine that the poor might enjoy meaning in the midst of poverty. Nor could she imagine that the children of the poor might rise above the poverty. My parents grew up in tenements in grinding poverty during the great depression. I lived in those same tenements until age 13. Of five children in my family four went to college and graduate school. All live lives of productive contribution to society. 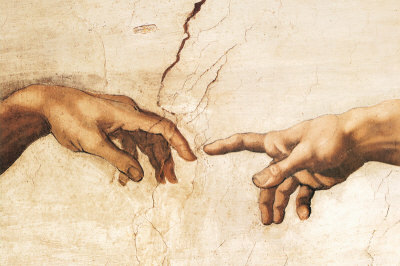 But even the most handicapped among us has great individual value and moral worth. In the most bitter of ironies, it was Margaret Sanger herself who added to societal misery on the same scale she imagined it in other quarters. If as she suggested the handicapped had little to offer, it is all the more certain that Sanger wasted much. A terrible epitaph. Julie Schmit-Albin of NE Right to Life comments over on Jill Stanek’s blog that abortion was used by Senator Ben Nelson as a “pawn” in the healthcare debate. She and Stanek assert that when he loaded up on enough pork and perks for the folks back home, he betrayed the unborn. All true enough, except the part about abortion being used as a “pawn”. It’s probably more accurate to say that abortion was used as a smokescreen and NE RTL and the USCCB were used as pawns. Look at the media attention for the past several weeks. It’s been all about the abortion language in the bill. In getting everyone to argue the abortion language, the Democrats got everyone to tacitly accept that this entire immoral bill was a foregone conclusion. In so doing, we took our eye off of the larger immorality of medicare cuts and the inevitability of euthanasia down the road. That’s how we got screwed. The Washington Two-Step. There is still hope that the firebrands in the House may cause the process to implode and that the legislation will not survive in conference. No small amount of pressure will be brought to bear on Stupak’s allies. Going forward, we need to understand that there is a larger immorality involved in this legislation. We need now more than ever to be Pro-Life and not merely anti-abortion. This entire piece of legislation stinks. 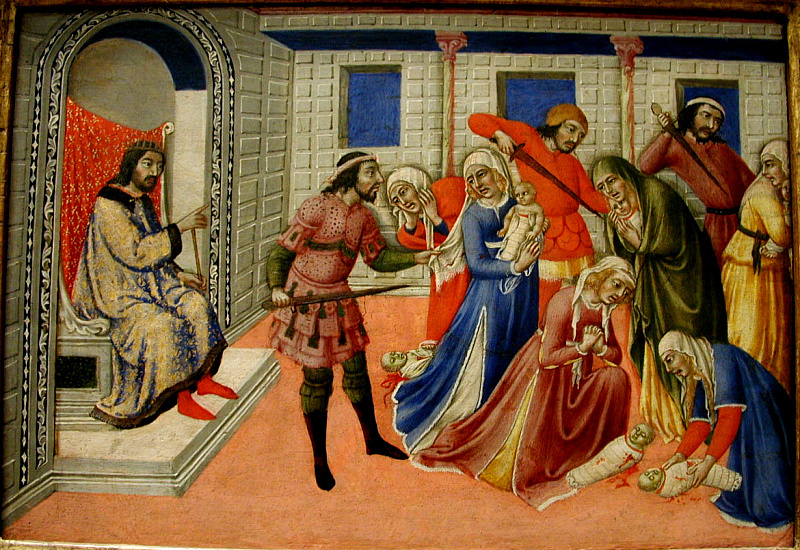 If we focus too narrowly on abortion again, I fear another betrayal will come to pass. There are far more vulnerable members of the House up for re-election this year. They need to be blistered this week by all who care for life at both ends of the spectrum and in between. Meanwhile, Nelson has lined his pockets as he guaranteed the Slaughter of the Innocents will proceed apace. That free Medicare will avail his Nebraskans little when their treatments are denied along with the rest of us. Well done thou good-for-nothing servant.